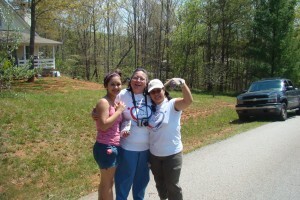 It is a one-day, hands-on community missions blitz for this community. 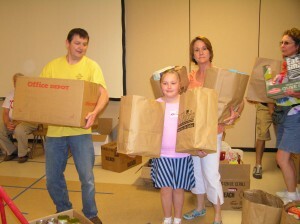 Churches and people come together to provide services for those in need. This can be low income families or elderly individuals who are no longer able to complete projects around the house. Side by Side also includes visiting shut-ins and nursing homes. Last year’s event saw over 40 projects completed with the help of 300 plus volunteers. Side By Side provides local believers with the opportunity to participate in mission work right in their home community. This event mobilizes the faith community to meet the physical and emotional needs of our community. We always accept suggested projects and often those who suggest a project actually act as project leader during the event. Together we can accomplish amazing things! This is an effective way of involving more people in more mission work. Get your family, friends, church, classmates and yourself involved in the mission. This event is both multi-generational and multi-congregational. Side by side offers a range of projects from the highly skilled to simple projects and is open to all ages. Our volunteers range from age 5 to 80+ years, there is a job for everyone.